Bree, at the crossroads just past the edge of The Shire sees many a weary traveller. 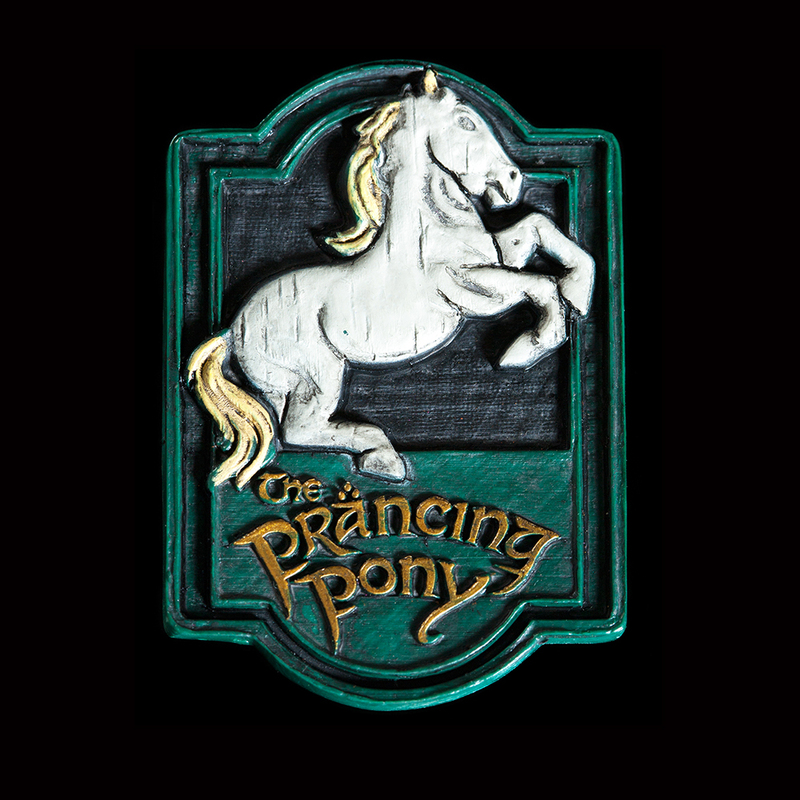 The Prancing Pony and its burly barkeep Barliman Butterbur welcomes them all for a pint, a bite, and a good night's rest. A range with a practical twist - an opportunity to arrange your favourite keepsakes from Middle-earth wherever you can find a magnetic surface. This magnet is made from plastic with a rare earth magnet on the back.